Well this was a huge surprise! We were absolutely thrilled to be nominated for these awards, and to be finalists in our local business awards means so much, let alone actually win! 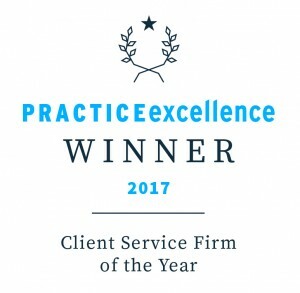 Even more amazing is that we were finalists in the Professional Services Business of the Year in 2017, and won the Practice Excellence Client Services firm of the year in 2017 too. Super thrilled that our very own Jo was also a finalist in the Employee of the Year category – she is our superstar! 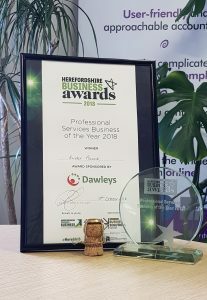 The awards were held on Friday 5 October 2018 at the Three Counties Hotel, Hereford, where Team Kinder Pocock mingled with the great and the good of the Herefordshire Business Community. It was a fabulous night, and great to share time with clients, colleagues and our friends, including Kinetic Six, who were finalists for the Best Use of Technology, Send Cake who were finalists for New Business of the Year, and our Twitter BFFs The DM Lab, who not only sponsored the Small to Medium Sized Business category, but were finalilsts in the Creative Business category. This is a good question, why do we put ourselves through it? It’s amazing to be a finalist in any award, but also incredibly nerve wracking, and like a huge punch in the gut if you don’t win (yes, yes, it’s the taking part that counts, and to be a finalist is something we are immensely proud of). Here are some previous award wins and finalist achievements of ours. So why would we put ourselves through it? Our clients say amazing things about us. This gives us the confidence to enter, using their very own words in our applications! It is a huge moral boost for the whole team, and I think Kelly’s tweet from the award night sums this up! Awards nights are a lot of fun, and a great night out for the team, and to meet up with colleagues and peers. A Huge Thank you to our Amazing Clients! This is truly what it’s all about. This award is in recognition of our client care, and we wouldn’t be where we are without having the privilege to look after you lovely lot! We really do put you at the heart of everything we do. We have weekly team meetings and daily catch ups to make sure we’re looking after you, and managing your requests. On a weekly basis we look at what we’ve done for you that you have told us is extraordinary, which not only gives us ways to constantly improve our award winning client care, but is a great motivational boost for the team. We also look at things you might not be so happy with, so that we can put things right as soon as possible, and make sure it doesn’t happen again. 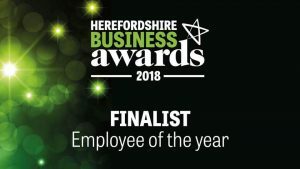 This is the second year of the awards, and they have already become hugely respected, and a key date in the Herefordshire Business Community calendar. Rich, Kerry, Rich and Kim you are amazing! I hope you are putting your feet up this weekend! Thank you for reading! If we can help you with anything, or you’d like to become a client of Kinder Pocock, do get in touch. In the meantime you can read about some of our previous award wins, or finalist status here, including Practice Excellence Client Service Firm of the Year 2017, and Sharon’s Xero MVP Award in 2016. We specialise in Indie Hospitality, Security and Design.